We have decided to incorporate more graphic novels and manga to our blog. Last month we ran the announcement from Sea Lion Books announcing they were going to publish C.S. 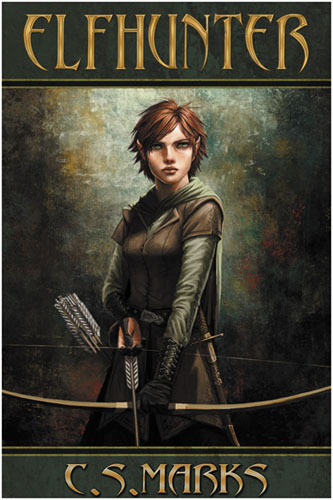 Marks' Elfhunter series in graphic novel form in the spring of 2012. This is one series we really took note of--just look at the cover of the first book. Don't you want to pick it up? We do. 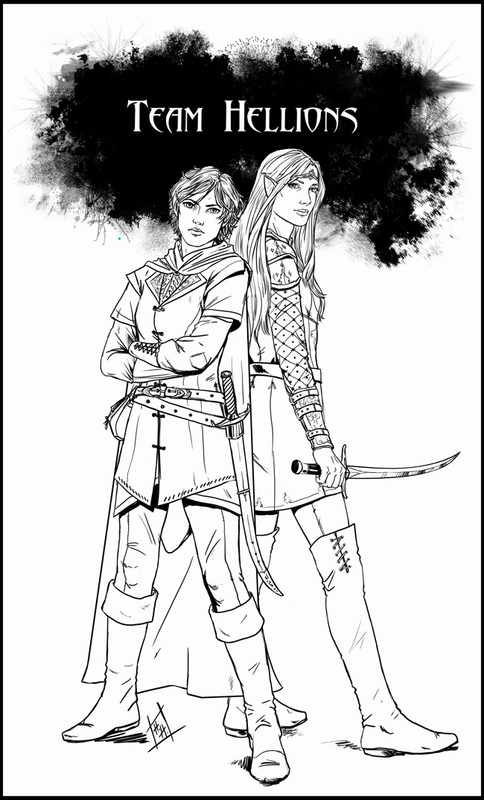 Now we are able to share a guest post from the author/illustrator about her epic fantasy along with a gorgeous illustration ( a sneak peek for fans is below--yeah, let's hear it for Team Helllions). Enjoy! When I ride, I’m graceful, powerful, and fast. I tower over non-mounted folk (who normally tower over me). I can come as close to flying as is possible without mechanized assistance. Not only that, but I can almost literally connect my senses, emotions, consciousness, and physical body with those of another creature. You would think that would be enough fulfillment–enough of a challenge. But, no. At the risk of boring the non-horselovers in the readership, I’ll skip ahead a few years. As far as I was concerned, the greatest test would be to ride the Tom Quilty hundred-mile race–it’s the Australian National Championship and I’ve always wanted to do it, but never thought I would get the chance. Well, after a few years of successful competition here in the US, the chance came and I took it. Now, picture this: Three hundred snorty horses, all uber-fit, milling around at ten minutes to midnight. (Aussies are an interesting lot. The Midnight Start is one of their more…ummm…shall we say intimidating traditions?) In ten minutes, they are all going to go hooning off in a mad stampede, taking you with them. You are thousands of miles from anywhere or anyone you know, and you’re wondering who will take the responsibility for sending your body back should you fall off and be trampled. The horse you are riding is unfamiliar (and the jury’s still out in her mind, too). It’s the dead of winter in Australia, and you’re as far south as you can be without being in Tasmania. An Antarctic gale has blown in off the pole, the wind is blowing thirty miles an hour (with stronger gusts) and it’s sleeting. You are going to ride a hundred miles, mostly in the dark, over a course you’ve never seen. You are, in a word, terrified. Then you get real. You have a job to do, another life form to care for and worry about. You swallow your fear, determination takes over, and you’re ‘all business’. From the moment the horse starts moving forward, you are a well-oiled machine. You are fearless, you are indefatigable, and you are not to be trifled with! Now, I won’t give you the gory details (though it was a real rip-snorter). Suffice to say that I finished the ride (which turned out to be closer to 120 miles) in about fourteen hours’ riding time. The horse was in good shape. I actually managed to trot her out myself at the finish, which is saying something considering the state of my muscles and joints. We finished eleventh in our weight class out of about eighty, which is perfectly respectable. So, who cares? Why did I feel this worthy of your attention? As readers, we want to have empathy with the characters in fantasy books. We want to feel as though we’ve met them…that we’ve walked in their shoes (or at least stood beside them). If, as writers, we aspire to bring the reader that close to our characters effectively, we must have empathy with them first. We must have felt what they feel–at least to some extent. I can empathize with the character who has something to prove. I understand the feeling of facing a difficult task alone and far from home. I can relate to that wonderful determination overcoming fear of unknown peril as we stand on the brink of battle. We’ve got a job to do, darn it! Not only can I empathize with their feelings, but I can also help them avoid unrealistic behavior. I know what it’s like to ride great distance at speed, therefore, I can understand my characters’ desire to take rest. I’ve nearly fallen off (in my inexperienced, stupider days) due to dehydration and lack of energy, therefore my characters realize they must eat and drink often on long rides. I have ridden in the dark down narrow, treacherous trails, therefore my characters try to place themselves behind someone wearing a light-colored helmet (so they know when to duck). All writers have life experiences they can draw upon to help them get inside their characters better–to understand their challenges, motivations, and reactions. Who has not stood on the brink of battle, alone against impossible odds? Today is Thanksgiving, and I stood alone against the onslaught of carbohydrates in a vain effort to defend the diet. I now know the agony of defeat. Again. It’s our experiences that shape us, and it’s we who shape our characters so that our readers may believe in them, know them, and love them. And when I sit down to write I know that every trial, every humiliation, every disappointment, was worth it. Those things which made it real on the trail help us keep it real on the page. A fantasy setting rich in imagery and very human conflict, the world of ELFHUNTER pits friendship, loyalty, and love against hatred, prejudice, and despair. In a monster-hunt of epic proportions, it sets one small but determined Wood-elf against a complex and fascinating villain to yield a timeless tale that has captivated young readers and parents alike. Join the Company of Elves, dwarves, mortal men, and delightfully intelligent horses. Come to Alterra – the “World That Is”. 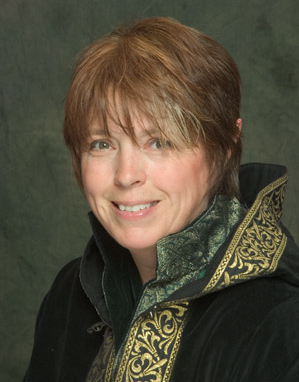 About The Author: Christine Stewart-Marks (C.S. Marks) has often been described as a “Renaissance woman”. An accomplished horsewoman, illustrator, musician, and educator, Chris has also been an endurance rider-one of the very few Americans to have completed the Australian National Championship hundred-mile race. She is an archery enthusiast skilled in the making of longbows, holds a Ph.D. in Biology, and is currently a full professor of equine science at a small Midwestern college. Inspired by her father, a Professor of English and American Literature, she has dedicated her first published series to his memory. This internationally beloved fantasy writer now leaves the ranks of independent publishing to join the team at Sea Lion Books with pleasure and pride. She shares her Indiana home with husband Jeff, a dozen friendly dogs, three horses, and a couple of cranky barn cats. Wowzers! I was picturing 'Hildalgo' there with all the endurance riding. That was an enjoyable read about the author. I could see how that would definitely give sympathy to her characters.